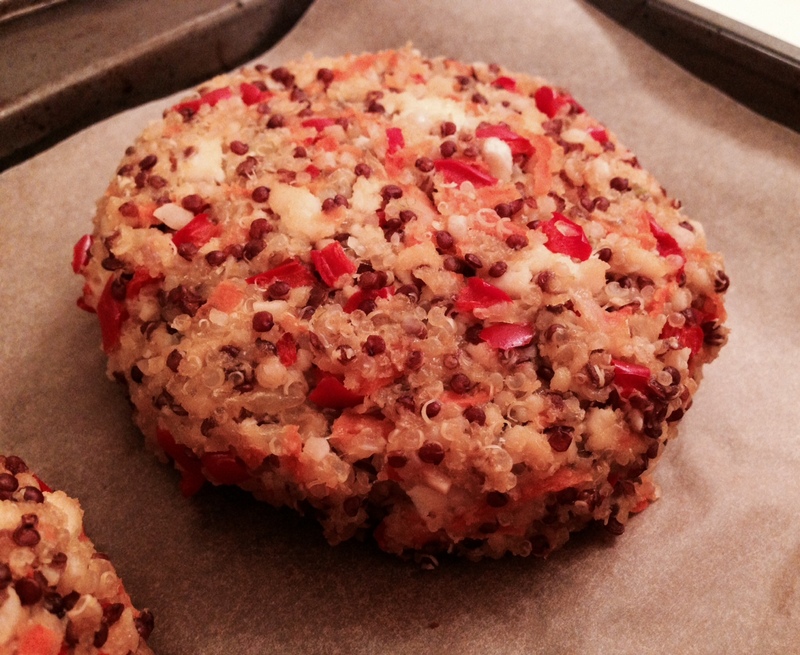 This evening we made a very easy and tasty vegan burger. I’m posting it here to make sure we don’t lose the recipe. It comes from the book Meatless Burgers by Louise Hagler. Quinoa is a remarkable grain that originated in the Andes and was first cultivated as long as 4000 years ago. It is high in protein and also contains calcium, phosphorus, and iron. We eat it often. To cook quinoa, rinse ½ cup dry quinoa and place into a pan with 1 cup water; cover and bring to a boil, then reduce heat and simmer for 10-15 minutes. Turn off heat and let rest for 10 minutes, then fluff with a fork. Preheat the oven to 350º F. Mix all ingredients together, and form into burgers. Arrange the burgers on an oiled (or parchment-lined) baking sheet, and bake 15 minutes each side, or until browned, turning carefully. Let cool for a few minutes before removing from baking sheet. This entry was posted in Main Courses, Vegan and tagged Grains, Quinoa by Baron. Bookmark the permalink.